work has now been completed. Work began in late March 2015, and was completed on Friday, May 22nd. As you can see from the pictures below the transformation has been remarkable. *  Signing of a new 25 Year Lease on the whole of the Cricket Ground, including the Squash Building. 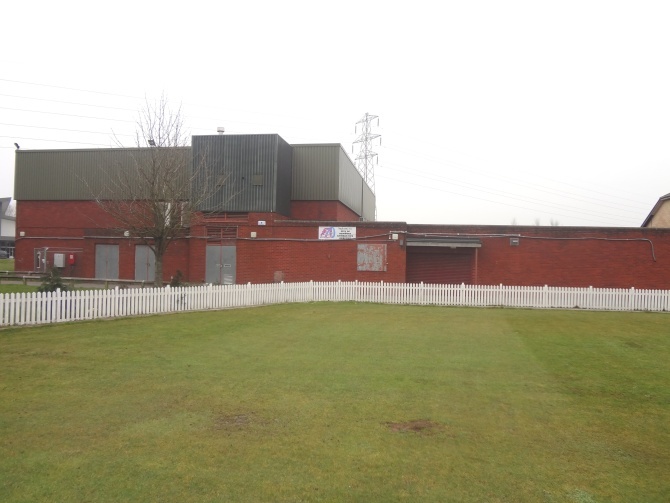 aspirations of developing a small cricket museum in the Squash Building area. 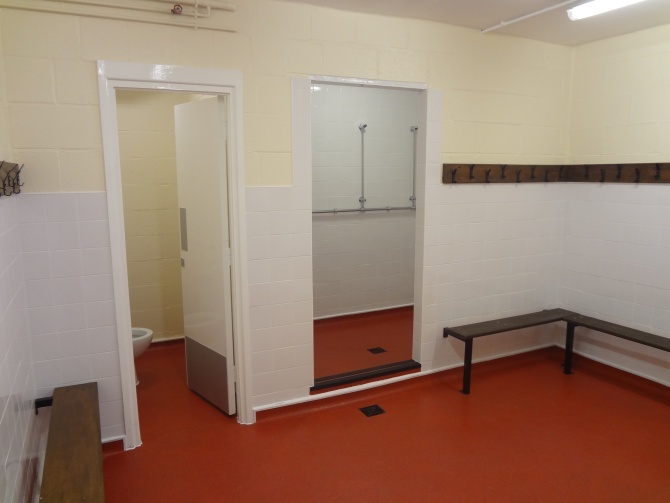 in order to get the facilities ready for the 2015 cricket season. 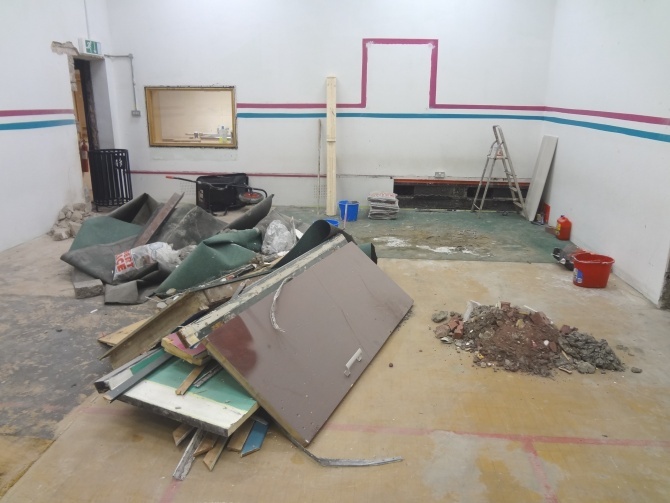 To develop the Squash Building into a first class Indoor Cricket School !! to discuss matters with you further. included in a new 25 year lease signed by the Cricket Club. If you think you can help please let us know! 1. to provide a Meeting Room for our Junior players (Boys and Girls). 2. 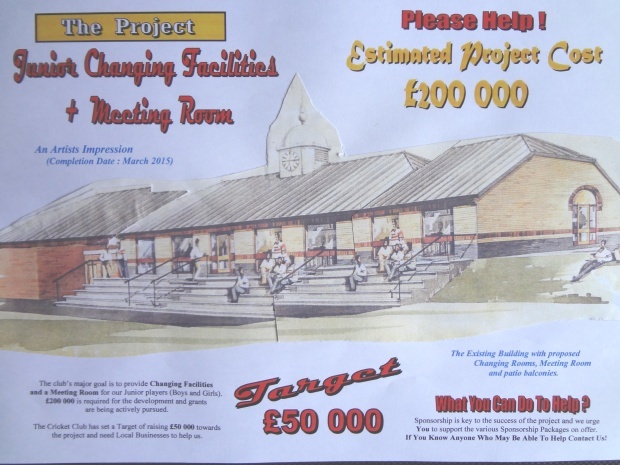 To Develop A New Club Museum Based on the History of Newport Cricket Club. and need Local Businesses to help us. 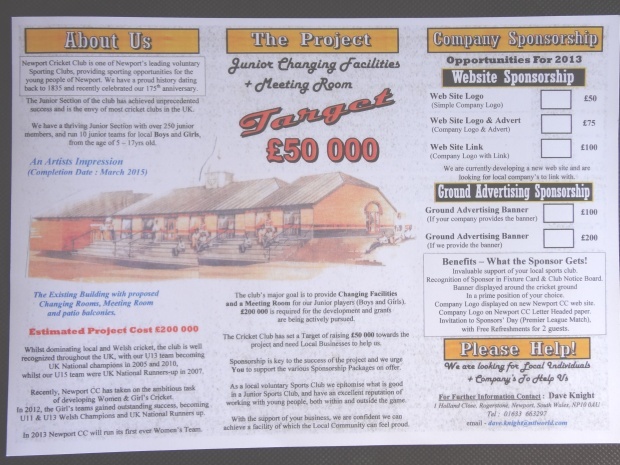 the various Sponsorship Packages on offer. If you know of any businesses who may be able to help at all, please let us know. Contact details can be found at the bottom of the page. with young people, both within and outside the game. of which the Local Community can feel proud.
. Invaluable support of your local Sports Club.
. Recognition of Sponsor in Club's Fixture Card and Club Notice Board.
. Company Logo displayed on the new Newport Cricket Club website.
. Invitation to Sponsor's Day, (Premier League Match), free refreshments for 2 guests.
. Company Logo & Advert displayed on the new Newport Cricket Club website.
. Invitation to Sponsor's Day, (Premier League Match), free refreshments for 2 guests.
. Company Logo & Link to your own web site, displayed on the Newport Cricket Club website.
. Invitation to Sponsor's Day, (Premier League match), free refreshments for up to 4 guests.
. 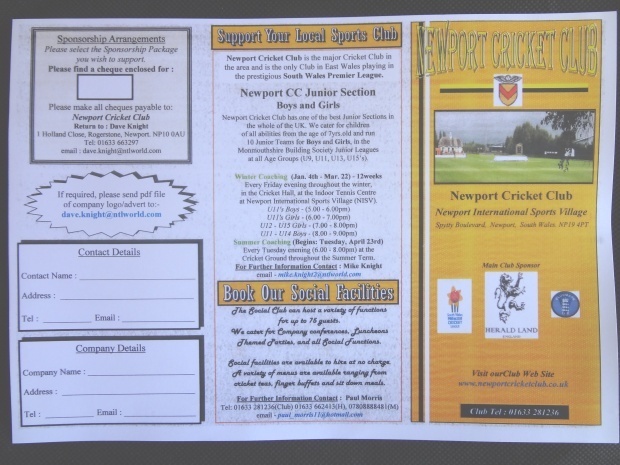 Banner displayed around the Cricket Ground in a prime position of your choice.
. Company Logo displayed on Newport Cricket Club Letter Headed note paper.
. Company name acknowledged on new Newport Cricket Club web site.
. Invaluable support of your local Junior Sports Club.
. Individual name / Company name acknowledged on the new Newport Cricket Club website.
. Invitation to Sponsor's Day (Premier League Cricket Match), free refreshments for 2 guests.
. Recognition of Sponsor in Club's Fixture Card & Club Notice Board.
. Company Name acknowledged on the new Newport Cricket Club website.
. Invitation to Sponsor's Day, (Premier League cricket match), free refreshments for 2 guests. Tel : 01633 662413 (H), 07808 888481 (Mob), 01633 281236 (Club).